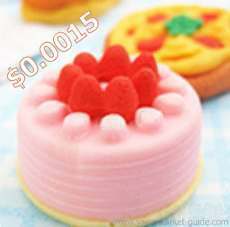 Opening hours: 09:00-17:00, 7x365, except a 7-day-close down during Spring Festival. 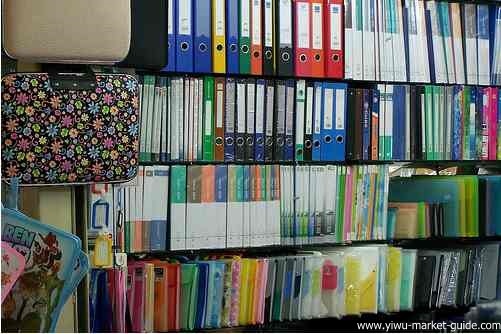 Yiwu Office Supplies and Stationery Market is actually, pretty new. 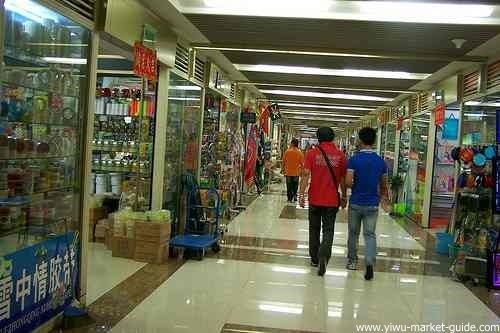 Opened in 2005, but now it is already one of the biggest markets in Yiwu. Don't worry. This is not a problem at all. Most of the suppliers can do the modifications for you, according to your requirements. You can have some ideas of how big the gap is, by looking at the items in What's Hot section at the bottom of this page. small brand wholesale calculator, not CASIO! 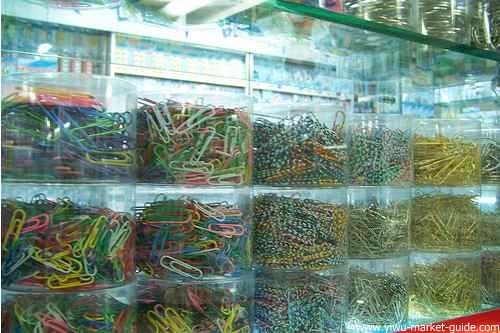 And you will also find many stalls here are just focusing on small things like rubber bands and paper clips. These shops are full of cheap and small things. 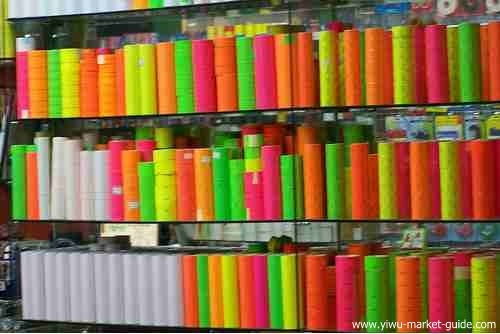 It will take you a good ten minutes to figure out how many colors and how many shapes of paper clips do they have inside one shop. 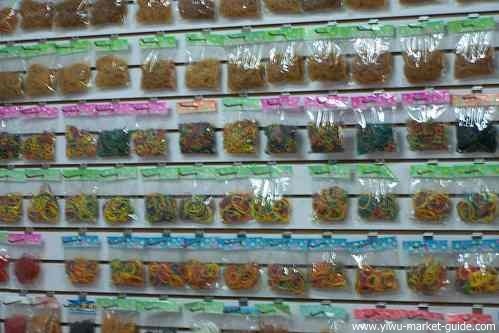 This made Yiwu market a happy paradise for buyers. Buyers just simply come to one place and examine all China products: the newest models, the latest trend, and the bottom line prices. Then decide whether or not to place orders. They can also easily pick up a bit of this and a bit of that just inside one building, then mix them in one container and ship back home to test market, instead of traveling all around China and contacting dozens of suppliers. 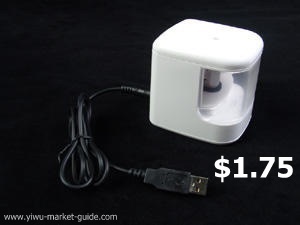 This USB pencil sharpener is new. Simple plug-and-start-sharpening style. No more hand screw ups, no more batteries. As long you as you are near a USB port: in your office, in your car, in your bedroom. You can plug-and-start-sharpening! 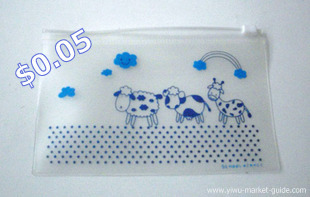 This new baby can easily become a star among school kids, just like the USB mini fans on ladies' office desks nowadays. Above picture shows another new baby called "no stables stapler". It can simply stable a few pages together by pinching a hole and folding the pinched piece of paper on the other side. But it will not work so easily if you want to stable more than 10 pages. 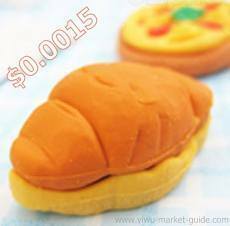 These cheap, cutie-shaped erasers are always welcomed. 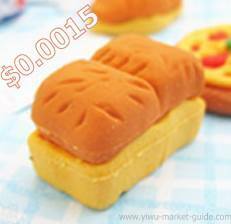 "They are just so cheap and so cutie that buyers cannot resist from ordering more", as told by my friend, Mr. Sun inside market. 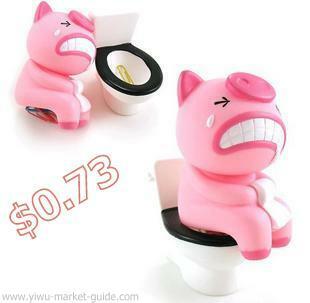 This is another piece of "cheap crap", but hot selling item. The reasons for hot selling are CHEAP and nice looking! This pencil pouch is also waterproof when zipped on. 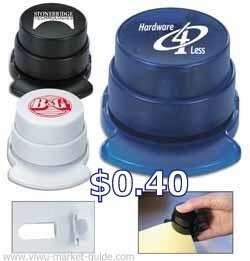 This is another hot selling product based on "eyeballs catching". The factories near Yiwu are so good at inventing, maybe sometimes copying, this kind of stuff. Kids are always easily be attracted by "strange and new" things. Oh, I nearly forgot this paper clips dispenser. The paper clips are either inside the basin, or sticked to the buddy's hips by a piece of magnet. Funny? um... you judge. Browse according to the booth numbers, block by block, so you can cover the most. Otherwise, you may feel frustrated to find yourself are re-browsing or getting lost. Put some food, at least a bottle of water, in your backpack, if you want to stay more than 3 hours. They have restaurants inside, but it’s all Chinese food. And it's extremely crowded in lunch hours. Hire a translator if you want to know more details. 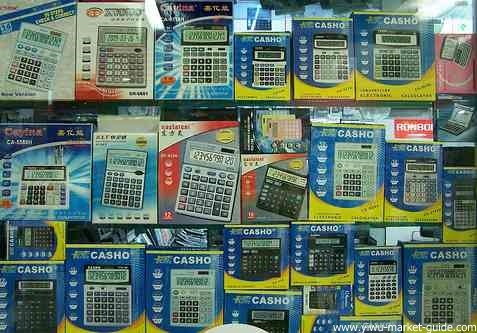 But if you just want look around, all the vendors have no difficulties quoting you a price with their calculators.